The recent fundraising event Pali proudly supported which Steven, husband of Jo Milne Marketing Director at Pali, participated in was a huge success. On Saturday 21st April Steven took part in the Dirty Reiver Cycling Challenge which involved cycling 130km in one day on difficult ‘Gravel Grinder’ format found predominantly in the mid-west of America. Steven completed the arduous cycling event in nine hours and was very happy with his time and achievement. Steven took part in this huge challenge to raise much needed funds for The Belvidere Centre, a small Special Needs Charity based on the Wirral. 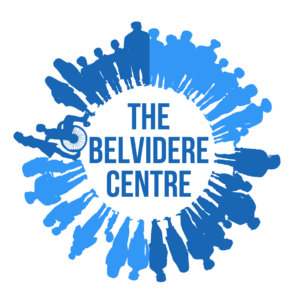 The Belvidere Centre operates a holiday club for children of all abilities aged fourteen and under, amongst other services. They rely solely on fundraising, donations and other independent income to stay open. Steven was hoping to raise £2000 which would mean the summer holiday club could stay open for this year however due to the sheer generosity of friends, family, service partners and supporters the target has been beaten and continues to rise. The Belvidere Centre has a long list of building repairs and facilities they would like to provide for the children so the fact the initial target has been surpassed is tremendous and people are still being encouraged to donate. Every bit of money raised makes a huge difference and lots of families who have children with additional needs depend on the services the centre provides. Pali would like to say a massive ‘well done’ to Steven and thank everybody who has donated to the fundraiser so far, with a special thanks to the businesses who have gone out of their way to support the cause. Copeland Security Group, a highly accredited, multi divisional service provider that supports a range of clients throughout the UK with Quality Driven Security Solutions. Clear Education Ltd, a Recruitment Agency that supplies schools in the North West of England with specialist, quality support staff. Groundsure, a leading Environmental Company who provide critical location intelligence to support property and land use decisions. BBH Legal Services, an established legal services provider kindly organised a charity event at their offices which included a dress-down day for staff and raffle prizes, managed to raise an amazing £168.30.